Thank you Rain Coast Dog Rescue for choosing us! 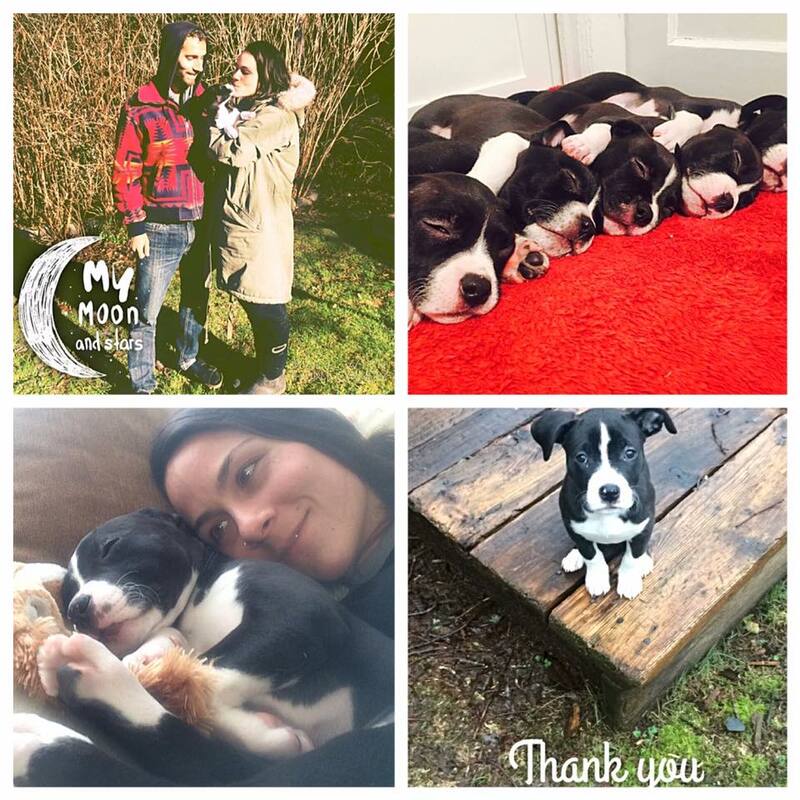 Thank you for caring so much about your animals and for allowing us to give Moon an incredible life full of so much love, adventure, safety and fun. She is an absolute gem. Thank you Jesse for your call and intuition in our application. Thank you to her foster mom Nicole for doing an amazing job caring for her. As soon as I found out I was a potential applicant I got into my car and drove 4.5 hours from Tofino to Victoria to meet Moon. I was so nervous to meet her as there was one puppy left of the litter that I was able​ to take home. I wondered if she would feel connected. As soon as we got to the foster home, I walked through the door and Moon ran right up to me, jumped on me and gave me kisses for several minutes while all the other puppies continued to play with each other. This was the magical beginning of our life together. Life with baby Moon so far! Moon is loved by everyone and loving her socialization and play times. Moon is an absolute favorite at the hospital I work at and brings so much joy to everyone she meets. She is only 9 weeks old and has learned to sit and wait before walking through doors, comes when called, knows how to give a paw, down, loves her crate and absolutely loves car rides. She loves her visits with everyone in our small community, the surf shops, book store, pet store to name a few. Moon has made great friends and is learning lots from her well behaved canine company. She is even happy for nap time in her crate! What a dream dog Moon is! I could not ask for anything more. We love Moon so much and she has completed our family. Complete gratitude for Raincoast Dog Rescue. I have literally cried everyday of happiness with this sweetheart. Thank you beyond words.